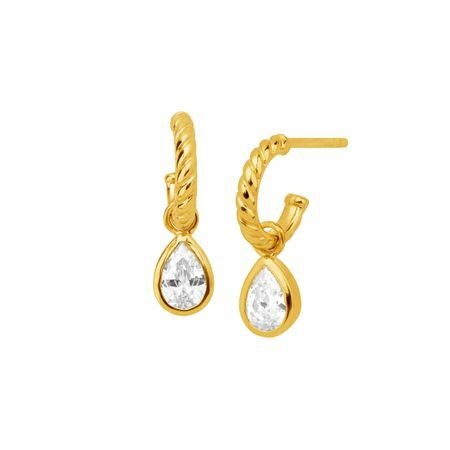 Pear-cut white cubic zirconias suspend from each twisted huggie hoop earring, crafted in 18K gold-plated sterling silver. Earrings measure 11/16 by 3/16 inches and feature posts with friction-backs. Pieces come with “.925” sterling silver quality stamps as symbols of guaranteed product quality.